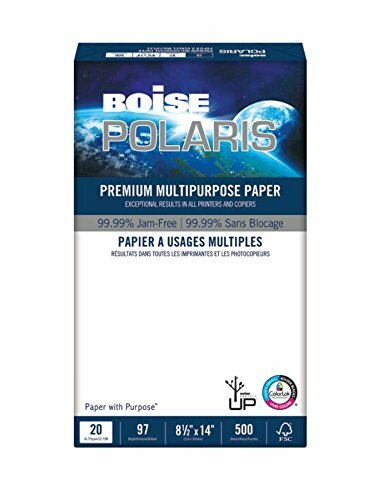 Polaris Premium Multipurpose Paper, 97 Bright, 500 Sheets/Ream, 8 1/2" x 11", 20 lb. 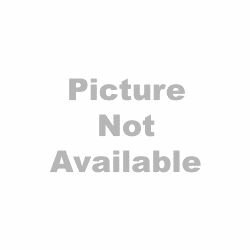 Product prices and availability are accurate as of 2019-04-12 09:45:43 EDT and are subject to change. Any price and availability information displayed on http://www.amazon.com/ at the time of purchase will apply to the purchase of this product. 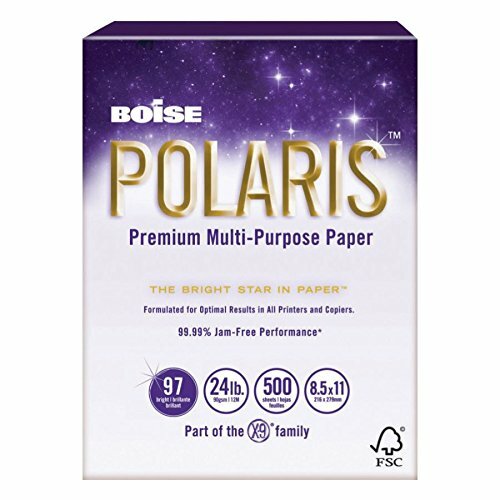 Get your print projects started off on the right foot with Boise POLARIS paper. 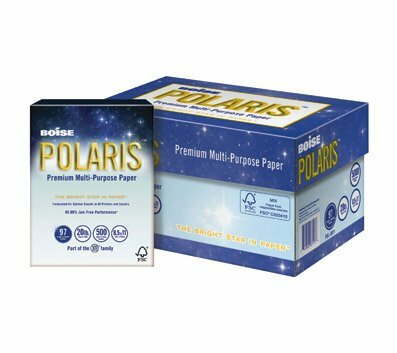 Make a great impression with multipurpose paper that provides exceptional results in printers and copiers. Print with radiant brightness for crisp text and sharp images. Features Colorlok Technology(TM). 99.99 jam-free performance guaranteed by the manufacturer. Tested by Buyers Laboratory Inc. for performance you can trust. Box Tops for Education clips. Proudly Made in the USA. Forest Stewardship Council (FSC) - For wood/paper products from forests certified to the gold standard of responsible forestry. Forest Stewardship Council US-0081. FSC Certification ensures responsible use of forest resources and provides assurance that the fiber in this paper comes from forests that are well-managed to protect biodiversity and the livelihoods of the people that depend on those forests.